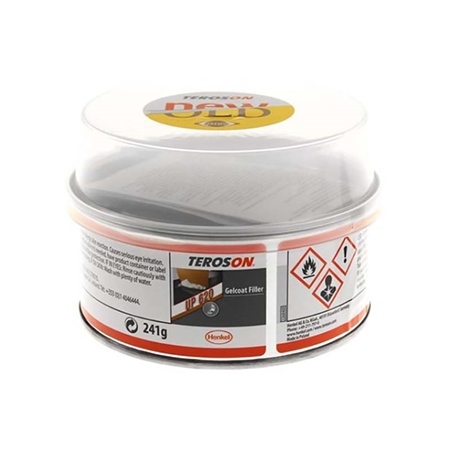 The Teroson Up 620 Gelcoat Filler 241g is a gelcoat filler that perfect for restoring surfaces on hulls and glass fibre panels. It easily repairs osmosis blisters and other forms of surface damage and can be used on glass fibre and gelcoat finishes. Once it's set, it is fully waterproof and can be painted over if needed. This gelcoat repair filler set is the ideal companion for the dedicated dinghy/yacht sailor who likes to keep on top of the boat prep work. The conveniently-sized tub is easy to store and use. Can be sanded and polished to a high gloss finish.